Martha Berry sends literature and log cabin cards, along with her thanks to Miss Hogges' class for their interest in Berry. 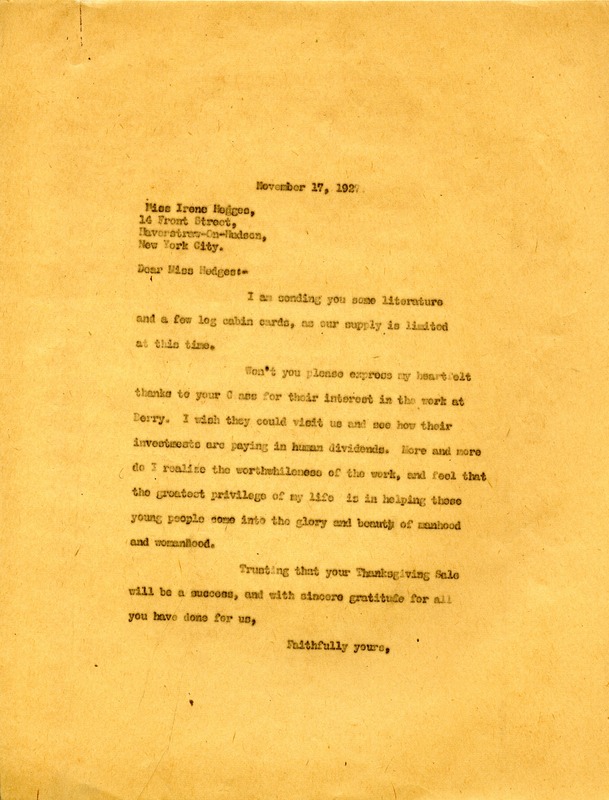 Martha Berry, “Letter from Martha Berry to Irene Hogges.” Martha Berry Digital Archive. Eds. Schlitz, Stephanie A., Brooke Culbertson, et al. Mount Berry: Berry College, 2012. accessed April 19, 2019, https://mbda.berry.edu/items/show/4464.